We have already written about Screenflow, which is one of the best screen recorders for Mac. There’s also a similar software called Screenium, which boasts practically the same functionality and comes at half the price of the former. 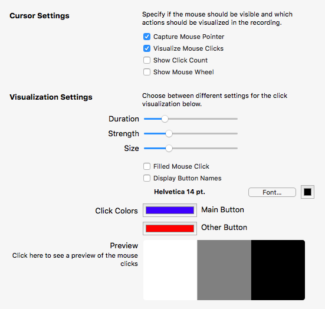 Both Screenflow and Screenium are not simply screen recorders but powerful tools for screencasts with subtitles, zooming screen area, mouse clicks audio, etc. 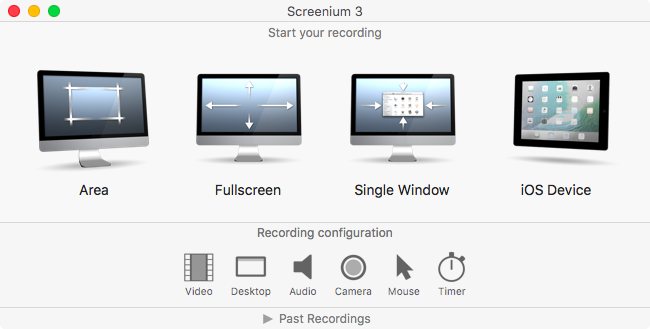 Working with Screenium begins from start screen where you can select screen area to be recorded, iOS device and recording configurations. 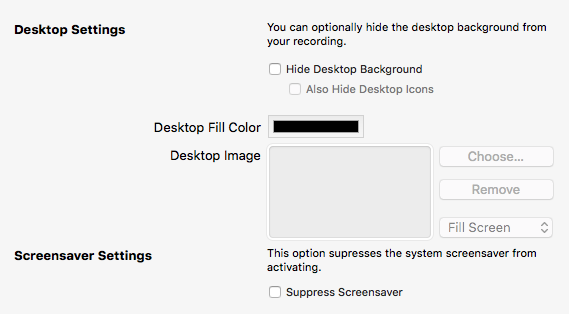 Even if you choose to record the entire screen, later you still will be able to crop it as necessary. It is really convenient that you are able to open previous recording parameters. 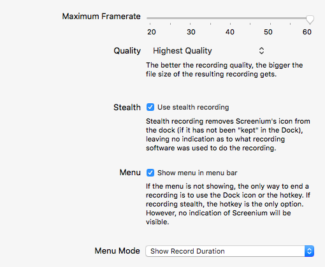 When it comes to recording configuration Screenium is very different from Screenflow. 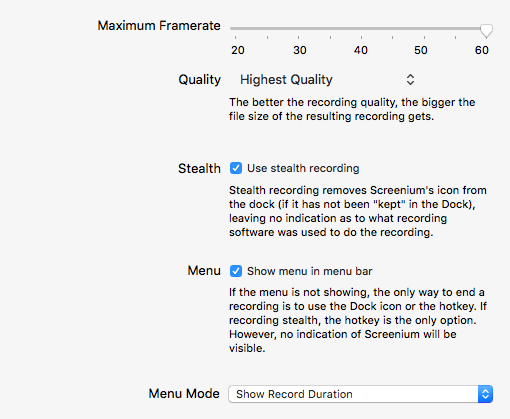 Here you can specify the maximum recording duration before starting it (it’s purpose is not clear though), enable/disable mouse cursor, hide Screenium icon in Dock. Standard parameters also include audio source selection and enable recording from webcamera. By the way, Screenium does not allow to record system sound by default. When you try to do it the app refers to a page with an article describing how you can do it with third party solutions. 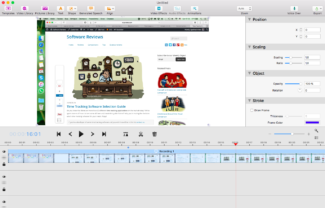 Video editor in Screenium is made in OS X style with attractive title buttons to embed video and audio effects into project, add text, narration, etc. Right side panel contains properties of video and audio tracks, cursor display and all effects which are embedded in the project. 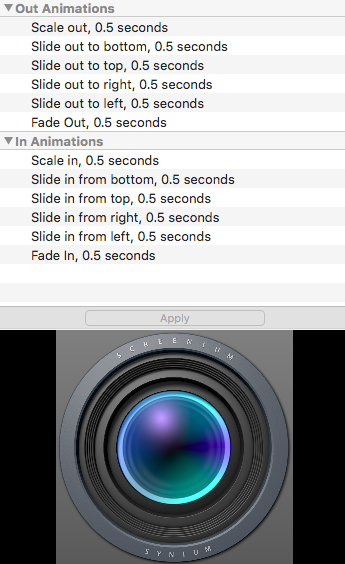 In contrast to Screenflow to change video or audio parameters on a selected part, not the entire track, in Screenium you need to split the recording. In my opinion it is more convenient in Screenflow. 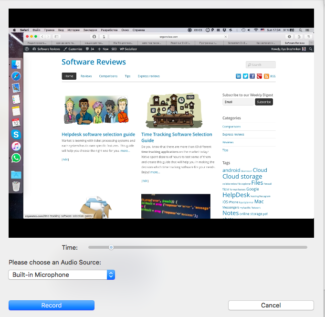 If you are narrating the screencast after you’ve recorded the video, in this case it would be better to use Voice Over. For that you need to place the flag on a video ruler to the necessary time mark, press Voice Over and narrate the text while video is being played. 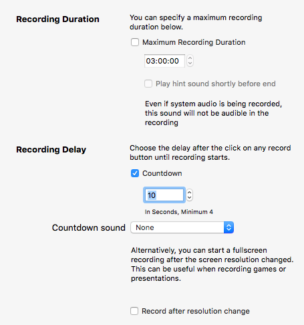 Screenium will automatically place audio track in the required place so you won’t have to adjust audio and video. Another way to narrate the video is a Speech Generator. 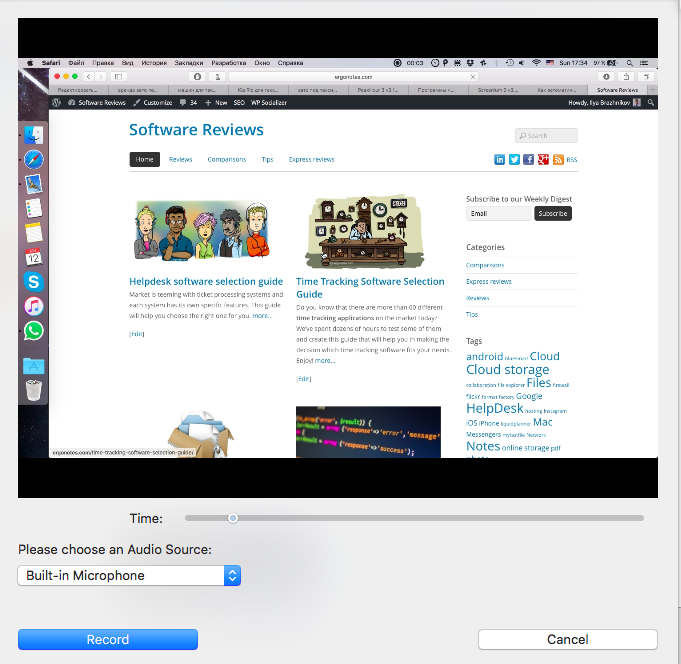 This feature allows you to add machine-generated narration into the project. For that there’s a field where you need to add text. 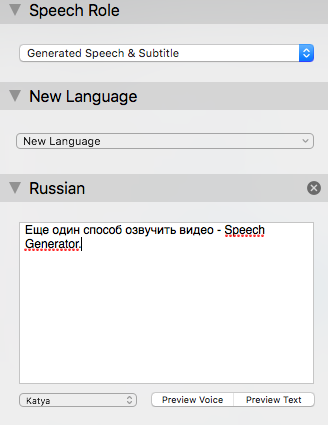 This tool has three operation modes: speech generator, subtitles and both. No matter how I tried, I was not able to embed subtitles into the track. 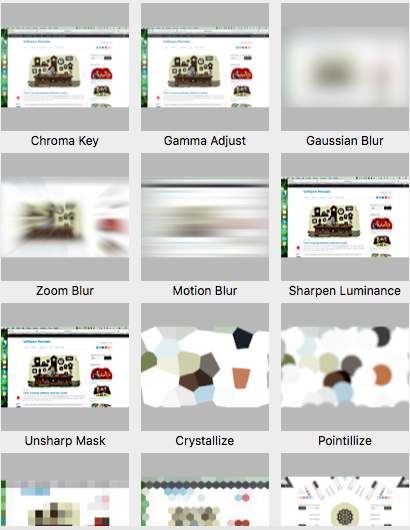 Video effects collection in Screenium counts approximately 20 items, although the majority is useless for professional use. I would note only Chroma Key, Gaussian and Motion Blur. Others are more suitable for ‘playing’ with effects. I may be wrong though. You can specify embedding point in effects, which is called Action in Screenflow and applies globally, including in video parameters. Video effects embedding button is not convenient, each effect has preview right in the menu, which substantially slows down menu scrolling. 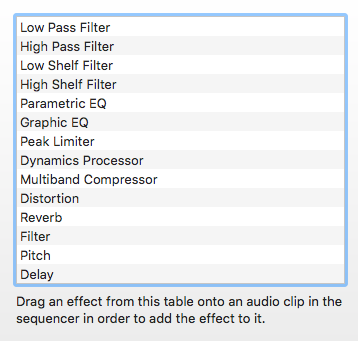 Audio effects in Screenium are scarce. 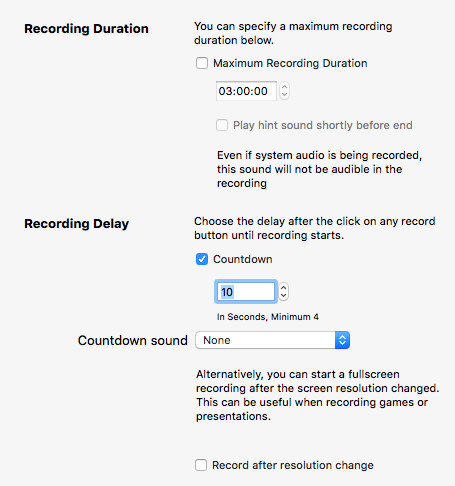 And they, as in editing audio track, have no noise reduction option, which is available in Screenflow. 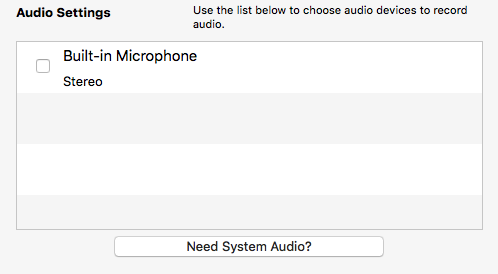 I found project’s video and audio libraries arrangement quite pointless. The former has no button to add video or record a new one from screen, the latter, for some reason, displays media library of the built-in OS X Photo app. It is not clear why is that so. Animations which should be applied on transition from fragment to fragment cannot be set up. Moreover, you can add transition between fragments in project’s ruler. But, unfortunately, neither worked. You have to go through the documentation. In Screenflow this functionality works on an intuitive level and there’s also a possibility to set up transitions flexibly. 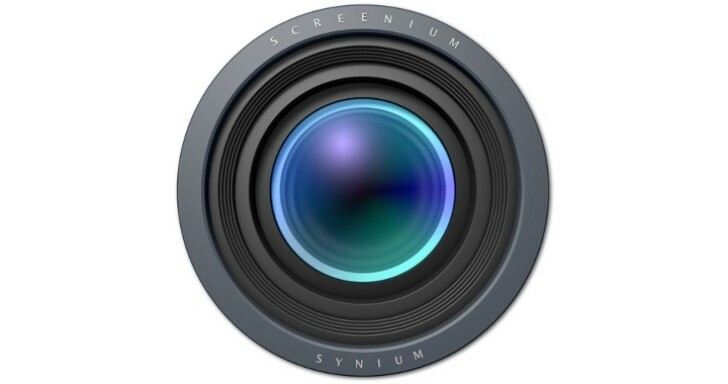 At the moment Screenium 3 price in Mac AppStore is $50. 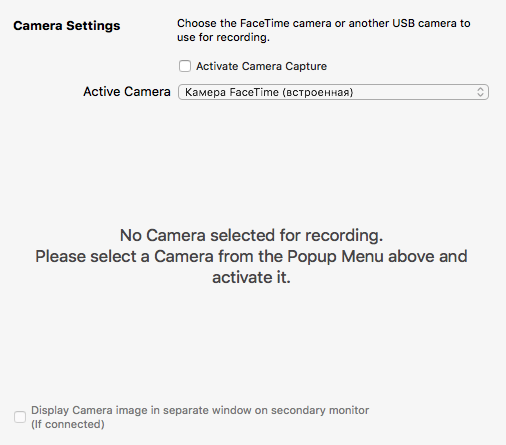 Speaking about features and convenience of the app, I would put it somewhere between Movavi Screen Capture and Telestream ScreenFlow. However, considering that I am not a frequent user of such apps, I’d like to see comments from those of you who have used any such software.